Nov16 Comments Off on Please vote in the final round of the Goodreads Choice Awards! Please vote in the final round of the Goodreads Choice Awards! Friends! We’re so excited to share that America’s First Daughter has made it to the final round of the Goodreads Choice Awards! Even if you’ve voted in the earlier rounds, you can vote again in this new round! We hope you will because we’re just thrilled the book has made it so far!! Thank you for considering! 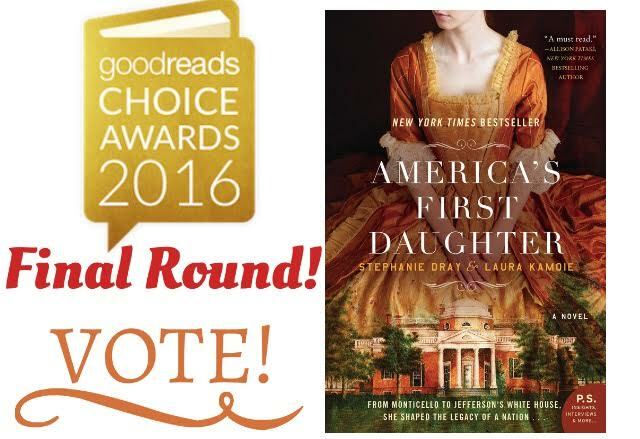 ← America’s First Daughter is a Goodreads Choice Award Nominee!